The peanut butter party continues at my house this week with this super simple peanut butter slice. I really enjoyed this because I used crunchy peanut butter as opposed to smooth so you get bits of peanut throughout which I love. Another dessert where a bit of time waiting by the freezer is required but I assure you it is worth it! These are dairy free, gluten free and refined sugar free! In a pulse blender, blend the almonds into a coarse meal. Add the dates and pulse again until a crumb comes together. In a small bowl, whisk the coconut cream, peanut butter, coconut oil and maple syrup until well combined. Pour mixture over the almond base. Pop in the freezer for 1-2 hours. Slice into squares and store in the freezer until ready to eat. I was lucky enough to attend the Goodness Me Box Wholefood Markets last night at the Grounds of Alexandria. A night filled with healthy and wholesome food and sweets! They also had some really good offers on some of the brands I already use quite often including Mayver’s! I have never tried their peanut and coconut spread so was keen to grab a jar and test it out! 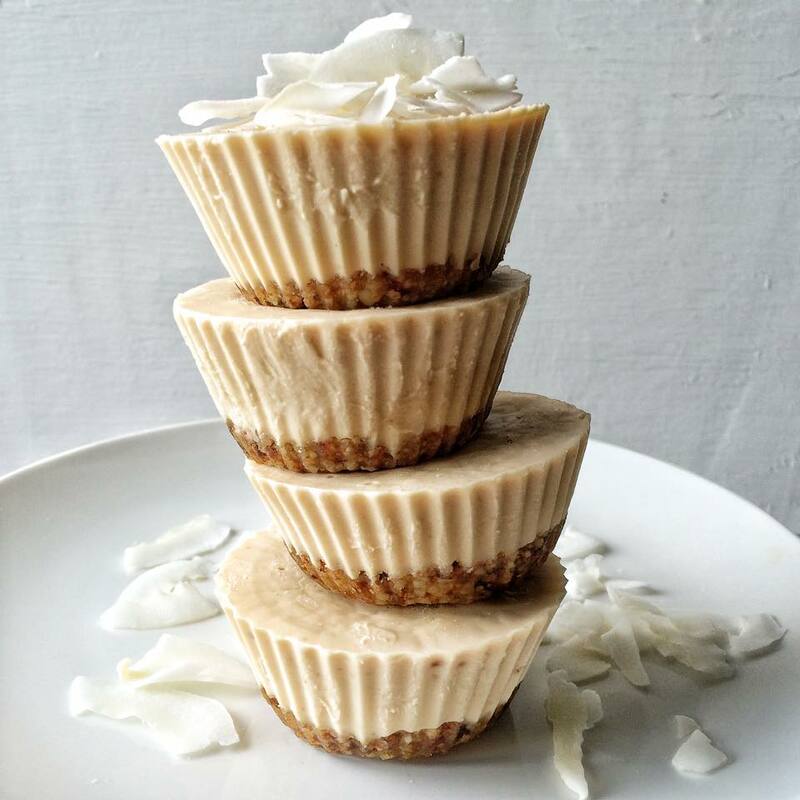 I had a surge of genius to whip up some peanut and coconut cups! I had some leftover coconut cream from a mousse I made the other day and so I had a good collection of ingredients to create something new and delicious! This recipe only require 6 ingredients! Preparation and assembly takes less than 10 minutes and so the longest part is just waiting by the freezer to dive in and start eating! These are conveniently gluten free, dairy free and refined sugar free. In a small bowl, add all the other ingredients and whisk until mixture is uniform with no lumps. 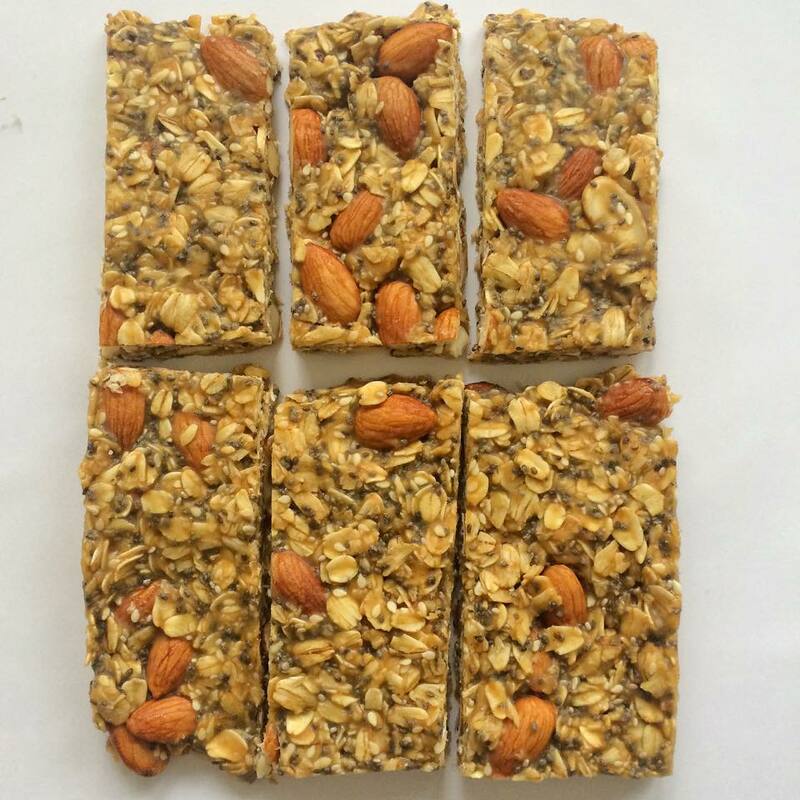 One of the first food photos I ever shared online was granola bars! They are so easy, healthy and can be made with pretty much any dried fruits or nuts that you have on hand! These ones that I have made today are just something I thought up on the spot and have ingredients which I have used in previous desserts but had some leftovers. I like this recipe because it is all done in one bowl (besides a heating component) and there is no prep required for the dry ingredients. These are dairy free, refined sugar free and filled with healthy fats found in both the almonds and peanut butter! In a large bowl add all the dry ingredients as is. In a lined tin, press the mixture flat with your hand until even. Freeze until firm but not completely solid. Slice into bars and store in the freezer for maximised storage life. I love admiring all the amazing raw desserts I find online and in health food cafes! However, they are mostly based with cashews which I unfortunately can no longer eat due to my IBS. So, I’ve had to change things up a bit in order to still be able to indulge in these desserts and not miss out! I’ve decided to take a break with chocolate (well…for today at least) and use almond, coconut and strawberry flavours instead! 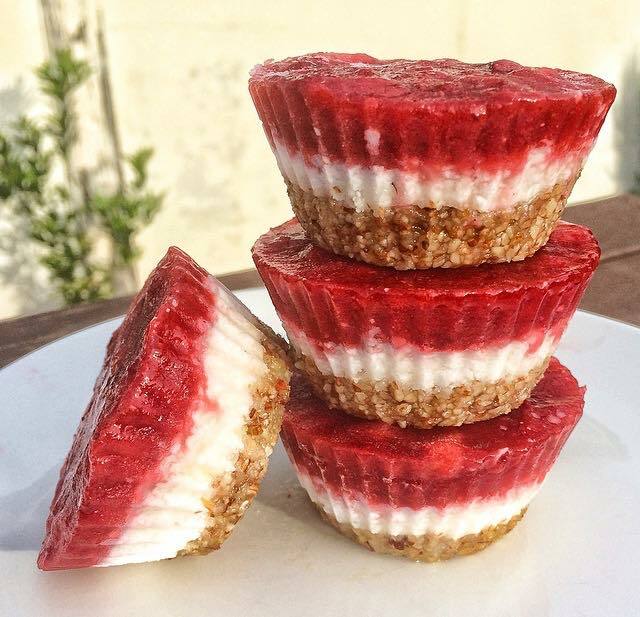 These delights consist of an almond crumb layer, a textured coconutty layer and a strawberry compote on top! These desserts are dairy free, gluten free and refined sugar free! Added bonus, these only require 6 ingredients! Aside: If strawberries are out of season or too expensive, you could also try pineapple or blueberries for the top layer! As for the coconut, just use whichever you would normally supply at home (desiccated, shreds or chips) as the cups don’t require any particular kind and all types will blend up a treat anyway. One last thing too, if you have a nut allergy, you can omit the nut layer completely and still enjoy the coconut and fruity layers. Press down the crumb in the cups with the back of a spoon until evenly distributed. Pop in the freezer whilst preparing the next layer. Store in the freezer until you’re ready to eat them!